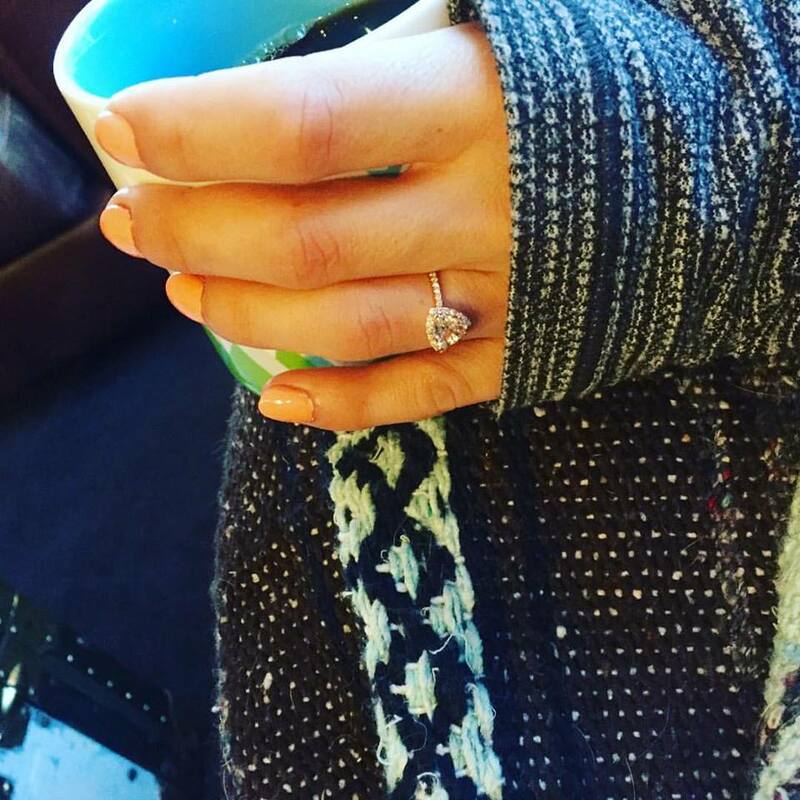 This September, Mitchell’s older sister is getting married. Today, was her bridal shower, and sadly, I was not able to attend. That did not stop me from creating, what I hoped would be, a very special gift for her! Overall, between deciding what to do, buying the supplies and actually creating the gift, it took me about a week. Most of that was trying to figure out just exactly what would be the perfect gift. T-Shirts that say “HONEYMOON 2017” on the back and MR ____ on the front or MRS ____ on hers. But I daringly went “rogue” and created something not on their list, and that was customized to their wedding day specifically. I went out on a hunt for all the supplies, and something unique to wrap the gift in. While out and about, I came up with the idea to use my die-cut and make her a wedding dress card. I don’t know, maybe it was cheesy but I liked the way it turned out. I tried to make sure everything matched the wedding colors, and headed home to start the project. I bought all of my paper from Michaels. If you’re free-drawing your dress, you’ll want to do so in pencil. If you’re like me and have a die-cut for everything… then go ahead and use your die-cut for the dress. I cut the dress 3 times, and then cut off the top of the glittery paper, and glued it to the white cardstock, and then cut the bottom off of the fancy paper and glued just a little bit of it, to the bottom, white cardstock. Then, I cut the bow out, and glued it over the seam where the two meet. The card is that simple! Now the gift, I made them custom t-shirts. 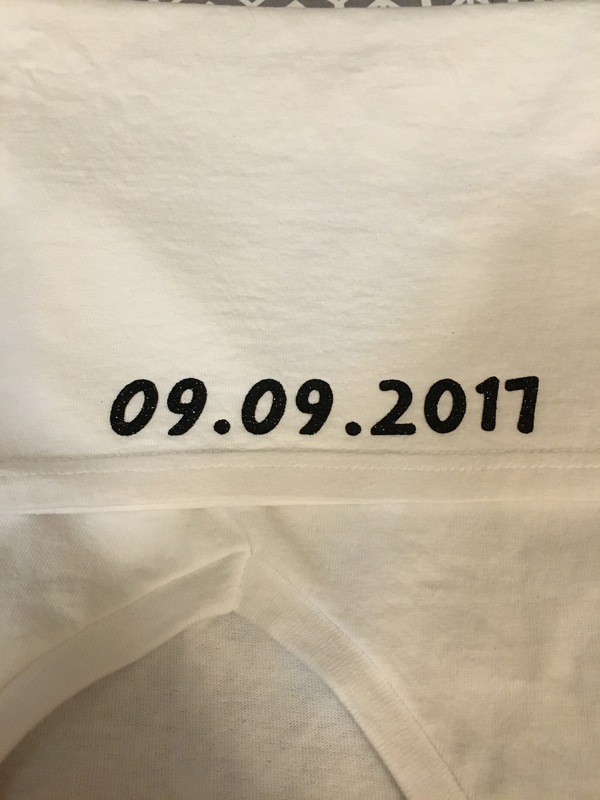 One that says Mr. and one that says Mrs. Then,on the back they both say the date of their wedding…In this case it’s 09.09.17. I used my die cut letters and numbers for this project. I went and purchased Glittery iron on vinyl and non glittery iron on vinyl. I simply cut out the letters with my die-cut, and placed them on the t-shirts where I thought they fit best, and laid a towel on top of them, and ironed away. It took probably about 45minutes per shirt to get them to stick properly. Overall I think they came out pretty adorable! I think the future bride and groom enjoyed them too! 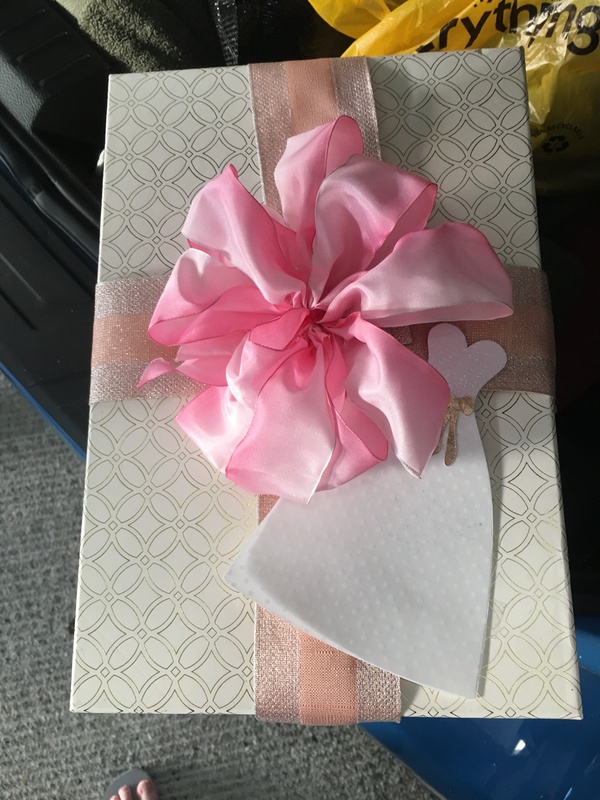 As for wrapping, I just found a super cute storage box, some pink ombre’ tissue paper, rose-gold ribbon (one of their wedding colors) and ombre’ ribbon for the bow. 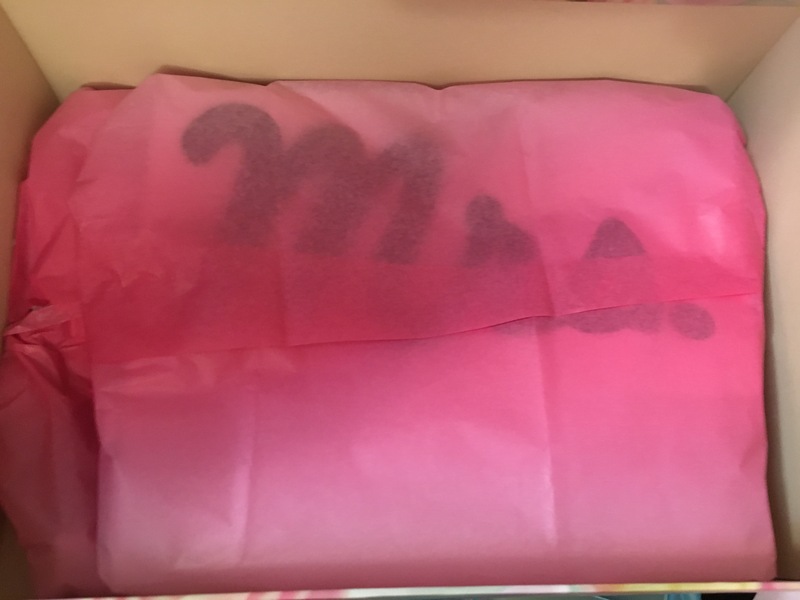 I taped the card to the box, and voila! A couple of weeks ago, someone we know got engaged. 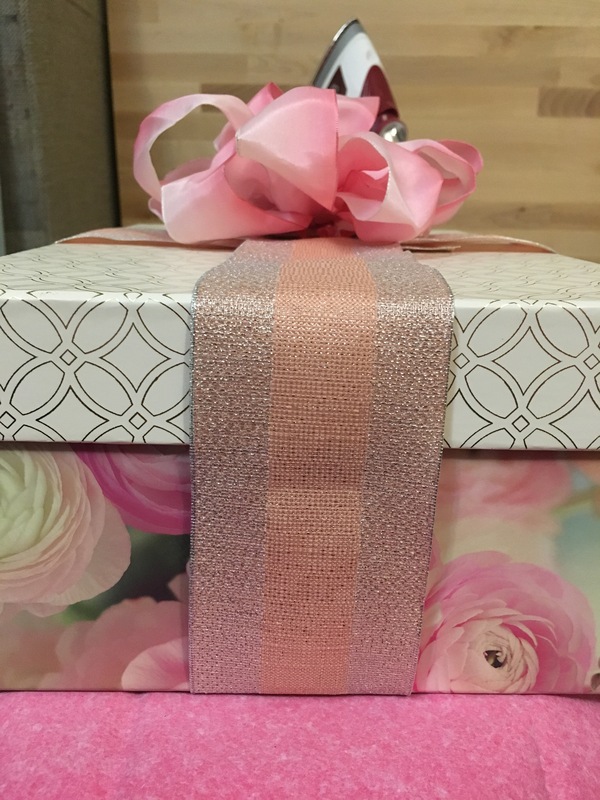 I mulled for a couple days about the “right” engagement gift, and decided a gift basket for her, and a little fun gift for him would be the best decision. So I came up with my own idea for a card, and went to work. I have access to a die cut machine for free (thanks to being a Teacher!) So I was able to create a couple cute designs for the card. Then, I added a few small touches to the back of the envelope (Their initials) and the front. I’ve blurred out her name, just for privacy sake. Now, onto the actual gift! I truly lucked out on that basket, how cute is it? I hope that in the future she’ll either be able to use it in her wedding (pending her style) or at home for things in the bathroom or even treats for her 3 dogs. I gathered some items I thought she’d enjoy. I’ve photographed this process as well (of course I did…) The first things I got together for her, were a “pampering” jar. It’s simple, just a mason jar with some goodies for her in it. Pinterest is great for labels for things like this. Simple, and fun. Inside her pampering jar, I included two overnight face masks from Sephora, an under eye mask, Julep Nail polish, some hand cream and chocolates. Inside the basket, I also included a mini-bottle of Lamarca Prosecco, and two cans of Sofia. I chose these two drinks because she introduced me to Sofia (which is so tasty, and I love that it comes in cute cans with straws) and Lamarca is one of our favorite proseccos. Next, are two paper folders to help her keep her wedding planning organized. I purchased these from one of her favorite stores, The Paper Source. They’re cute, fun and colorful, just like she is! Then, I felt that though those things are fun, I wanted to include something… useful for her planning process. I looked around at all the local stores, and did some research. I decided to get her two books to help her with the planning side of her wedding. The first one, is The Bride-to-Be Book: A Journal of Memories from the Proposal to “I Do” I bought this one because the reviews were great, and it looked super cute. I know not everyone is into documenting everything like I am, but from the looks of it, this book is great for people who want to document things, but never know how, or never have the time. I hope it’s a great tool she enjoys using. Next book I found while googling gift ideas for men. (For her fiancé’) Kinda funny how people don’t really give the male half of an engagement a gift. It’s The Knot Book of Wedding Lists. I guess the Knot is a huge wedding resource (well I knew that sorta, several of my friends have used their free wedding websites.) The reviews on this on Amazon are all over the place, but since they’ve only been engaged a couple weeks, I’m hoping it’ll help her out! Finally, the most necessary of all gifts, a tiara that says “BRIDE TO BE” It’s pink, It’s tacky, it’s full of bling, and it’s Furry. What else could a girl want? That’s the end of her gift basket. The photo above is one she took after she got the basket. We actually dropped it off at her Fiancé’s work so he could take it home and it’d be there to surprise her. I’m really hoping she liked it, and that the items will be enjoyable/yet also helpful to her. DISCLOSURE: This post was not sponsored in any way. The views and opinions in this post are mine.